Men need to maintain good overall and urologic health in order for their bodies to perform at their best. At his practice, in the Santa Monica, California area patients can receive exams, treatment, and maintenance programs (outside of their routine primary care) for men’s health-related issues provided by the expert Dr. Movassaghi. What happens during a men’s health screening? Dr. Movassaghi offers routine screening and preventive maintenance for common disorders in men. Whether you are 19 or 90, there are certain diseases that you are prone to based on your family history, age, and lifestyle. Left undiagnosed or untreated, relatively benign conditions can have significant negative effects on your health. Using the algorithm developed by the American Urologic Association, Dr. Movassaghi’s comprehensive approach to health care focuses on urologic disease but also screens for other common ailments including heart disease, diabetes, cancers, and emotional well-being. 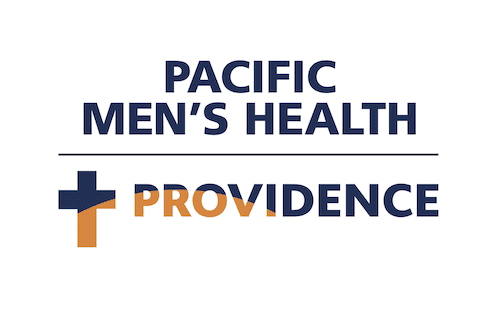 The Healthy Male Preventative Check-Up includes cardiac screening, psychiatric screening, endocrine/hormone level screening, and full urologic treatments. What services does Dr. Movassaghi offer? CANCERS - While the most commonly diagnosed cancer in men is prostate cancer, there are several other types all men should know about and try to prevent. INFERTILITY & TESTICULAR DISORDERS - 15% of US couples are considered infertile, and a man’s reproductive health is involved nearly 40% of the time. KIDNEY STONES - Kidney stones are deposits of minerals and salts that form when the urine is heavily concentrated. PROSTATE HEALTH - The prostate, located at the base of a man’s bladder, is a walnut-sized organ that surrounds the urethra. GAY MEN'S HEALTH - Gay men are likely to face certain health problems more often than their straight counterparts, but these problems aren’t uncommon, and we can help. URINARY COMPLAINTS - In men, problems with urination are usually a result of an obstruction or a malfunctioning bladder. SEXUAL HEALTH - We take a comprehensive approach to sexual health. What are the top health risks in men? HEART DISEASE - According to the American Heart Association, 33% of all men have some sort of heart disease. High blood pressure is becoming more common in younger men, and nearly 3 million men experience stroke annually. It is important to exercise and eat a heart-healthy diet and have your blood pressure and lipid profile checked every year to help prevent this number one killer. RESPIRATORY DISEASE - Smoking is the leading cause of lung cancer and chronic obstructive pulmonary disease (COPD). Men are diagnosed with lung cancer more commonly than women, and certain exposures at work including asbestos, further contribute to the stats. While there are no effective screening tests available, the best way to prevent lung cancer is through smoking cessation. ALCOHOL ABUSE - While a glass of red wine daily has helpful antioxidants, over drinking is linked to increased risks of certain cancers including mouth, throat, esophagus, liver and colon cancers. For men who are trying to get their partner pregnant, excessive alcohol can decrease testosterone production and interfere with sperm production as well. DEPRESSION AND SUICIDE - Men usually avoid the signs and symptoms of depression, including lack of interest, low energy, irritability and change in sleep patterns. Low testosterone may also mimic depression in men. Although the rate of suicide attempts is higher in women, the rate of successful suicides is higher in men. UNINTENTIONAL INJURIES AND ACCIDENTS - After heart disease and cancer, injuries and accidents are the 3rd leading cause of men according to the Center for Disease Control (CDC). DIABETES - Diabetes can lead to impotence, testosterone deficiency, heart disease and is the number one cause of kidney failure in the US. Keeping your weight under control and getting routine check-ups is important to help minimize the negative effects associated with this disease. SKIN CANCER - Men over the age of 50 have the highest risk of skin cancer, not only because of lifelong sun exposure but also because historically, men do not visit their doctors as regularly as women do. At the Los Angeles Men’s Health Center, we incorporated a skin exam for our initial visit for all men 50 and older. HIV/AIDS - New cases of HIV infection are increasing in gay men, especially those between the ages of 13-29. INFLUENZA AND PNEUMONIA - Because men are more likely to have other health risks, the common flu can be more life threatening. The CDC recommends flu shots for all men over the age of 65. LIVER DISEASE - Due to higher levels of alcohol and drug abuse, men are more likely to develop liver diseases including cirrhosis and hepatitis.